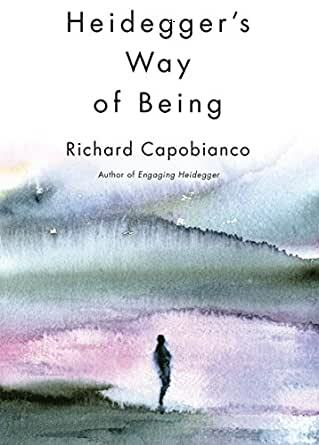 In Heidegger’s Way of Being, the follow-up to his 2010 book, Engaging Heidegger, Richard Capobianco makes the case clearly and compellingly that the core matter of Heidegger’s lifetime of thought was Being as the temporal emergence of all beings and things. Drawing upon a wide variety of texts, many of which have been previously untranslated, Capobianco illuminates the overarching importance of Being as radiant manifestation – “the truth of Being” – and how Heidegger also named and elucidated this fundamental phenomenon as physis (Nature), Aletheia, the primordial Logos, and as Ereignis, Lichtung, and Es gibt. Heidegger’s Way of Being brings back into full view the originality and distinctiveness of Heidegger’s thought and offers an emphatic rejoinder to certain more recent readings, and particularly those that propose a reduction of Being to “sense” or “meaning” and maintain that the core matter is human meaning-making. Capobianco’s vivid and often poetic reflections serve to evoke for readers the very experience of Being – or as he prefers to name it, the Being-way – and to invite us to pause and meditate on the manner of our human way in relation to the Being-way. "What stands out as Capobianco's truly unique contribution to the literature of Heidegger is how he carefully unfolds the subtle differences in Heidegger's many names for Being...In the end, the reader is left with a renewed appreciation not only for the continued relevance of Heidegger's work, but for the beauty and necessity of thought itself." Anyone that is interested in Heidegger's thinking really needs to read this new book by Richard Capobianco. I finished reading it last night and already want to read it again. Capobianco has a remarkable gift for explaining Heidegger's philosophical project. In fact, this might just be the single greatest Heidegger commentary I've ever read. Capobianco sets out to show that many Heidegger scholars have misinterpreted Heidegger on the most fundamental point imaginable, that is, they mistakingly interpret him to hold to the identification of Being (Sein) with meaning (Sinn). This is a view that took hold largely impart to the work of Hubert Dreyfus and his identification of Being with Dasein's "background familiarity" and "skillful coping". This view is ultimately another form of transcendental philosophy, in other words, another form of anti-realism. Of course, it's not absurd to interpret the early Heidegger in this fashion. Lee Braver comes to a similar interpretation of the early Heidegger (that is, the Heidegger of "Being and Time") in his book "A Thing of This World: A History of Continental Anti-Realism". However, Capobianco, like Braver as well, sees in the later Heidegger something radically new (something that was even there in the early Heidegger but only in a larval form). But what is it that is so radically new? Capobianco claims that it's the experience of the truth of Being--the spatio-temporal presencing, showing, emerging (Being) of what is present, shown, emerged (beings). Have you ever really wanted to know what Heidegger meant by "Being"? Well, you'll finally know this by the time you finish Capobianco's book. Each chapter is essentially a short meditation on a certain aspect or way of experiencing Being. Capobianco highlights that for Heidegger all of the most fundamental Greek terms (philosophical terms), all "say" the Same "thing", i.e., Being. These "Ur-words" (primordial terms), e.g., physis, aletheia, Logos, are all the Same while not being completely identical. Throughout these meditations, one comes to see that Being is NOT dependent on Dasein, thus, NOT reducible to meaning--there is Being even if there is no Dasein. In fact, Being itself is shown to be the very ground of meaning. This discovery by Heidegger is precisely what led Braver to claim that the first and only new philosophical paradigm since Kant's was established by the later Heidegger. By the end of the book, the reader has a clear understanding of what has been covered over and lost in the metaphysical tradition of Western philosophy and a sense of how to rediscover this Ur-experience (the Greek experience of Being) for his or her self. Capobianco's style is clear, poetic, meditative and calming--he's simply a joy to read. He has a unique way of making Heidegger's thinking come alive and of unconcealing its profound significance. I can't recommend this book enough! There are few better scholars of Heidegger out there. There are few better books than this and Richard's previous work "Engaging Heidegger." One of the best parts is Richard's insight regarding the misreading of Heidegger by certain unnamed but prominent Heidegger scholars. I've waited for someone to bravely address this problem. Although it is nigh on impossible to fathom, a great many allegedly top-drawer American "experts" have scurrilously side-stepped the Question of Being, central to Heidegger's life work. They don't explain Heidegger, as this author does. Instead, they tend to reinterpret him, sometimes in drastic ways. The don't explain his work as much as they expropriate it to recast it in skewed form. For the most part they get away with it. Richard Capobianco isn't part of this clutch of expropriators, and is probably the first to call them out. Of course he does more than this. He gives us a clear picture of what the early and late Heidegger was about. And of special merit, he does so in non-technical, unpretentious language that any reader can understand. That alone is a major achievement, and well worth price of this book. For those who want to get into Heidegger's exceptionally insightful thought about reality, identity, nature, time, space, light, individualism, theism, metaphysics, knowledge, culture, humanity and BEING, this book and "Engaging Heidegger," are essential additions to your library. 5.0 out of 5 starsConcise review of "Heidegger's Way of Being"
Excellent book. Well written, scholarly and insightful.